The young man could hardly contain his excitement. He was sure the invention he had just seen could change the world. It would usher in a new era of personal computing. No longer would a businessman or trader have to rely on a member of the select brotherhood of computing professionals to crunch the numbers. He could do it himself. The people who showed him the invention were fascinated by how it worked, but they clearly did not see what the young man could: its huge commercial potential. As so often happens in history, the right person was in the right place at the right time. Not only had the young man shown mathematical talent at an early age, he had grown up in what was then the acknowledged world capital for innovation, particularly in the business world. He also had the savvy to know how to make the invention available to ordinary citizens. The trick was to package and market it to them directly, in a way that they could at once appreciate and understand. Within a few years, the young man had succeeded beyond all expectations - save perhaps for his own far-sighted vision. The personal computing revolution was underway, new businesses were being created, new ways of carrying out international trade and commerce were developing, new financial institutions were being established, and new fortunes were being made. The world would never be the same again. 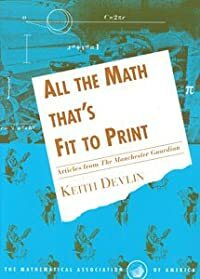 To readers familiar with the story behind the development of the Macintosh computer, the above sounds like a description of Steve Jobs' legendary visit to the Xerox Palo Alto Research Center (PARC) in December 1979. Working in secret for several years, PARC's hundred or so computer engineers and designers had been developing most of the components of modern personal computing, including the windows-mouse-pointer system for displaying files and navigating through the computer's memory, the Ethernet, the laser printer, and a concept called object-oriented programming that made such systems possible. Although Xerox, the parent company, was unable to see the commercial value of what their money had bought, Jobs certainly did. Four years later, Apple released the Macintosh computer, a consumer implementation of PARC's system, followed soon afterwards by the Apple LaserWriter, that made another PARC invention, the laser printer, into a successful consumer product. The modern era of easy-to-use, personal computing was born. But the young man I was referring to lived eight hundred years earlier, in medieval Italy. The personal computing revolution that began in Silicon Valley in the 1970s and 80s was actually the second the world had seen. The man who started the world's first personal computing revolution lived in the Italian city of Pisa from around 1170 to maybe 1250. His name was Leonardo Pisano (Leonardo of Pisa), but he is better known today by a nickname given to him by a historian in the early nineteenth century: Fibonacci, a name derived from the Latin filius Bonacci, which translates literally as "son of Bonacci". Most people associate his name with the "Fibonacci numbers," a sequence generated by starting with the pair 1, 1 and obtaining each successive number by adding together the previous two: 1, 1, 2 (=1+1), 3 (=1+2), 5 (=2+3), 8, 13, 21, 34, 53, 87, etc. These numbers arise frequently when you count things in plants (such as leaves, petals, spirals), for which there is a scientific explanation, and are believed by some to be of use predicting the behavior of the financial markets (which you have to take as a matter of faith). The sequence's connection with Leonardo is tenuous to say the least. It was known long before he was born, and there is no evidence Leonardo had any interest in it whatsoever. 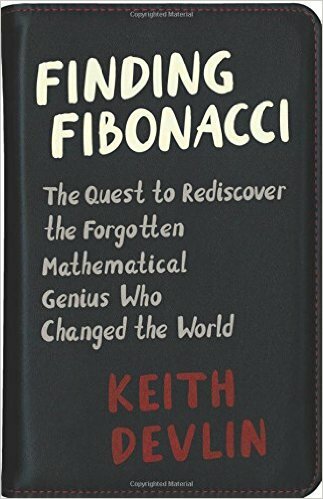 In his arithmetic book Liber abbaci, published in 1202, one of the many hundreds of problems he gave required the reader to generate the sequence to get the answer, and that one connection led a French mathematician to name them the Fibonacci numbers in the 1870s. That is all there is to it. But Leonardo has a far more substantial claim to fame than the number sequence now named after him: he started the first personal computing revolution and thereby launched the modern financial and commercial world. "Ah," I can almost hear you sigh, "Devlin is going to describe how Leonardo's Liber abbaci introduced Hindu-Arabic arithmetic into Western Europe." Well, sort of. But the story is far more complex than you may have heard. We know from the introduction Leonardo wrote in Liber abbaci that, as a young man, he traveled to the North African trading port of Bugia, where he saw Arabic speaking traders using a strange new method to carry out the calculations to complete their trades. We also know that upon his return to Pisa he did write his book Liber abbaci (the double-b indicating that it was the "Book of Calculating", not the "book of the abacus"). Moreover, the book did describe the powerful and efficient Hindu-Arabic arithmetic. 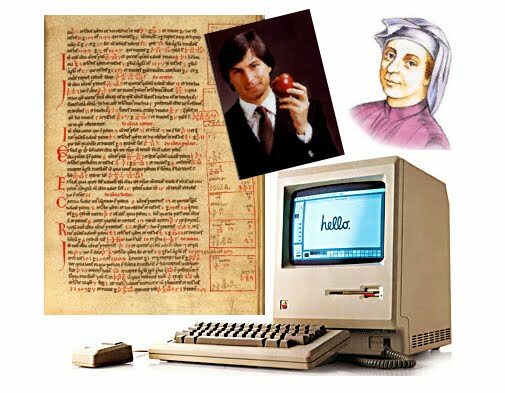 So far, this sounds just like the Steve Jobs - Xerox PARC episode, with Leonardo's Liber abbaci playing the role Apple's Macintosh computer subsequently would. But then the story becomes murky. Though Liber abbaci was undoubtedly one of the first descriptions of Hindu-Arabic arithmetic in western Europe, and though the decades that followed saw the fairly rapid dissemination of the new methods, with hundreds of supposedly derivative arithmetic texts being written, the problem that always faced anyone tempted to read causality into this sequence of events was that there were no records showing how the material passed from the parchment leaves of Leonardo's manuscript onto the pages of those subsequent texts. In fact, there is good reason to believe that hardly anyone ever read Liber abbaci. For, though writers of the subsequent texts copied passages (and often entire books) from one another, virtually none of those texts had any passages in common with Leonardo's much more scholarly tome - that in an era where all books were handwritten and where it was accepted practice for writers to copy freely from the works of others. That tantalizing (and frustrating) puzzle was finally solved in 2003, when the close examination of a hitherto ignored thirteenth century manuscript in a library in Florence provided the final, crucial step of a two-hundred-year train of painstaking archival forensics work that stretched back to the end of the eighteenth century. As a result, we now know that Leonardo of Pisa played a role in the development of today's world every bit as great as Copernicus or Galileo. Indeed, it turns out that the parallels between the introduction of Hindu-Arabic arithmetic to western Europe in thirteenth century Italy and the introduction of modern personal computing (as an easy-to-use consumer product) in 1980s California are remarkable, down to fine details. I'll give you one of those fine details. When Jobs left PARC, the first computer he developed having a windows-mouse-pointer interface was called the Lisa, but it was too large and too expensive to be a successful consumer product, and he abandoned it for the smaller, cheaper Macintosh he developed next. Likewise, Leonardo realized that Liber abbaci was too big and contained too much heavy-duty mathematics to be useful to the commercial men in Italy, and so he wrote a smaller, cheaper, simpler version. Unfortunately, though copies of Liber abbaci survived, there were no known extant copies of his smaller book. 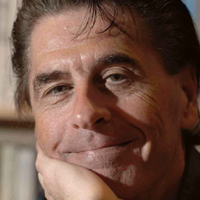 Until, that is, the start of the twenty-first century, when University of Siena mathematical historian Rafaella Franci opened the pages of Codex 2404 in the Riccardiana Library in Florence. Next month, I'll tell you about (and show you some pages from) that recently discovered manuscript, and explain how it allowed historians to piece together what is probably the greatest episode in the development of modern society you never heard of. In the meantime, I talked with NPR host Scott Simon about Leonardo and his book Liber abbaci, in my Math Guy slot on Weekend Edition (July 16), and you can learn more of his story there. This month's column is adapted from the introduction to my recent e-book Leonardo and Steve: The Young Genius Who Beat Apple to Market by 800 Years. In that book (known in the publishing world as a "short" - it's under 15,000 words) I draw out the many parallels, some of them uncanny, between the two personal computing revolutions. NOTE: The above collage (which I put together myself from publicly available sources) includes a page from a thirteenth century manuscript copy of Liber abbaci, courtesy of the Siena Public Library in Italy. The line drawing, from an etching of unknown but relatively recent origin, is purportedly of Leonardo, but widely believed to be a work of fiction.